Congratulations to Lauren & Jon! These two will say “I Do” at The Grand Ivory January 2018! THEIR LOVE STORY: Jon and Lauren both went to the same high school, and even though they had mutual friends, they didn’t meet until spring break of 10th grade. Their love story began on a band trip to Hawaii where Jon made the move to hold Lauren’s hand! Between high school and college the two put a pause on their relationship. However, they remained good friends, keeping their friendship up through the rest of high school and all through college. They eventually re-sparked their relationship, spending time with each other during school breaks and off times. A couple of weeks after Jon graduated from Texas A&M and moved back home, the two began dating again. 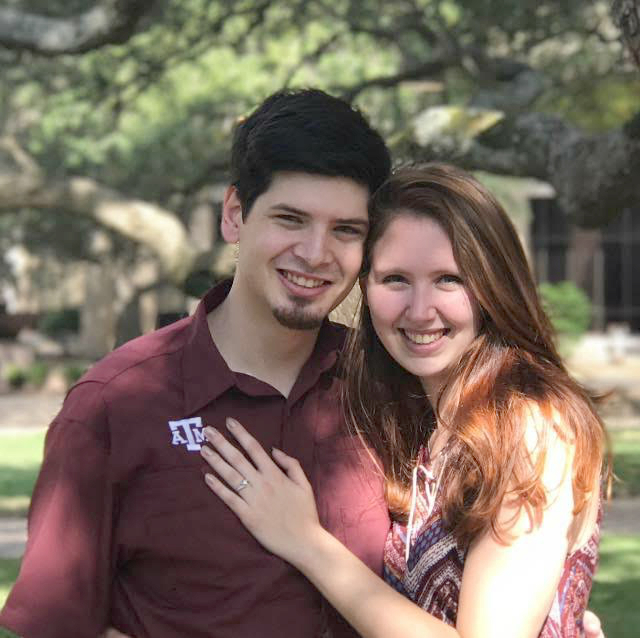 About a year and a half later, they went to A&M for the weekend for a football game, where Jon proposed to Lauren under the Century Tree with Lauren’s family and friends there to see it. It “caught me completely by surprise!” says Lauren! These two goofy 16 year olds’ have come so far over the last 8 years, and they can’t wait to see what the future holds for them as husband and wife! Welcome to The Grand Ivory family Lauren & Jon! We are overjoyed to be the backdrop to your perfect day!